Target Corporation is the second largest retailer in the United States. Fans often want to know if Target has a gift registry where they can list the items they would like for special occasions. It makes sense. Target carries many desirable items for people who are planning a wedding, have gotten engaged, are expecting a child, have a student in the family or have just purchased a new home. Is there a Target gift registry for these events? In some cases yes, in others no. Does Target have a wedding registry? Yes, Target does have a wedding registry. The major advantage of the Target wedding registry is after your wedding, Target will send you a coupon for 15% off the items that were not bought for you on the registry. For the Target wedding registry we recommend that you consider triple stacking. We recommend first getting the 15% discount, next purchasing the leftover items with a Target Red debit card (5% discount) or buying it with a used giftcard (2% to 8% discount) and thirdly adding a manufacturers coupon. Target will honor the manufacturers coupon. Target’s wedding registry is here. Does Target have a bridal registry? No, Target doesn’t have a bridal registry. Target does have a wedding registry. Does Target have a baby registry? Yes, Target does have a baby registry. Expecting parents will be pleased to know that Target does have a baby registry. The main perk of the Target baby registry is the 15% rebate on any items which aren’t sold by 8 weeks before the child’s due date. If you combine this with the 5% discount available through the Target Red debit card you could leverage the Target baby registry for an up to 20% discount on diapers, wipes or other items. You could possibly get an even bigger discount if you are able to utilize any promotional codes. Target’s baby registry is here. Does Target have a graduation registry? 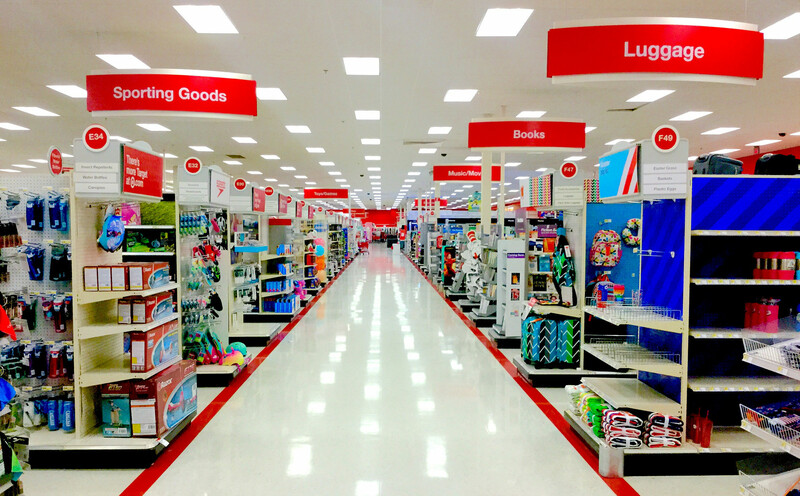 No, Target doesn’t have a graduation registry. For graduating students Target won’t be much help. However, for new students Target does have a college registry. Leftover items in the Target college registry which have not been purchased for the student receive a 15% discount coupon two weeks before the student first starts classes. Target’s college registry is here. Does Target have a new home registry? No, Target doesn’t have a new home registry. Anyone who has moved into a new place knows there typically new things which need to be bought, which makes it disappointing that Target doesn’t have a registry specifically for new homes. While Target stores have lots of what you need to get your home set up, the only way to register these specific wants is to create an “other” register in Target’s online registry system. There simply is no Target new home registry. How can I register gifts I want from Target? Even though Target doesn’t have some types of registries, you can still list what you want from Target on third-party registry websites. These can actually have an advantage over store specific gift registries because you can pick out your wants from a variety of stores instead of a single one. Some of the more popular registry sites are Thankful, Zola and CheckedTwice. Using a third-party gift registry like this can help ensure you get what you want from Target even if there isn’t an official Target registry. Set up your Target gift registry through the internet. Target operators have a habit of not being on duty when you call and sometimes you need to chase down the associates when you visit Target locations. If you don’t have access to the internet be sure to check Target’s holiday opening hours if you want to set up the registry during the Holidays. Um…sooo…typically Target stuff is cheap. Why not get a registry at some place like Nieman Marcus or a higher end store like Nordstroms? I could spend a fortune in Target! I am glad to know that they have some sort of gift registry because I am about to move again and will have a house warming and I LOVE everything in their store.